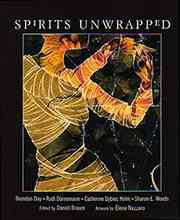 When writer/editor Daniel Braum asked for a different kind of mummy story for his Spirits Unwrapped chapbook, I came up with this tale set at the court of Khubilai Khan. I mixed historical information about the Khan with images and ideas from Samuel Taylor Coleridge’s famous poem, but the mummy is based on a real one, and you can see some pictures of him at this website. We reached an immense bubble in the ice, a room floored with rich carpets and hung with lamps and incense braziers which were suspended by long chains so that they would not melt the chamber’s domed ceiling. Still, a slow, quiet rain fell, freezing into instant pearls on our heads and shoulders as we followed Khubilai toward a body that lay on a heap of cushions in the center of the floor. It was a man. A tall man, with some kind of design in yellow paint on his sunken cheeks, just above the line of his red-brown beard. His white deerskin boots seemed to have rotted while he still wore them–the leather had opened up to reveal socks striped in red, blue and yellow, and his wine-purple coat seemed to have hardened into its clumps and folds. The cold air held the smell of warm mare’s milk and fish grease. I had almost convinced myself that he was a corpse, when he lifted his eyes and opened his smoky-pupiled eyes.